From beginning to end it was a pleasure working with your company. Great experience, Communication was First Class. We were very pleased with their professionalism and responsiveness from start to finish of the project. I highly recommend them to anyone looking for landscape/hardscape work. They put the upmost of care into everything their hands touch, to make your yard a dream come true. If you're looking for a high quality, family run, honest business to complete any sized job, Frank and Altamont Landscape Services Inc. is your team. Overall, Altamont is a Class Act! Altamont is very professional, trustworthy and Frank holds his company to very high standards and values, which showed with every detail! The backyard looks exactly as promised and there were no 'surprises'. It's so beautiful! Having difficulty with the drought? Are you looking for a quality landscape contractor that can take care of your water management needs? 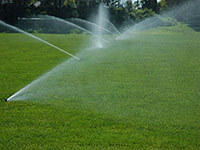 Altamont Landscape Service as 23 years of experience in expert water management. Too much water will likely result in fines from the local municipality and too little water will result in loss of expensive landscape and possibly loss of rent or the value of your property. Altamont Landscape Service is your solution. 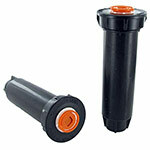 Over time, we have discovered what products work the best to solve irrigation related problems. Rain Bird spray sprinkler pop-ups work best especially when you add in their high efficiency adjustable nozzles. These nozzles are better than the competition because after setting they stay in place due to their ratcheting ability. 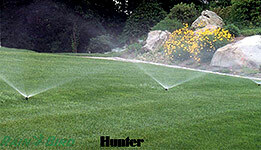 The Hunter landscape sprinkler time clocks and the Hunter rotor sprinklers have rapidly become the most popular due to their user friendliness, reliability, and warranty. The Pepco drip has proven over many years to be the best at delivering drip irrigation to landscaping on shopping centers and commercial buildings. A drip system using Pepco is the least likely to break and therefore is the most reliable. Since 1992, Altamont has been providing our commercial landscape clients with reliable and quality service due to our attention to details and open communication. Our mission is to continually satisfy our clients’ highest expectations for quality, service and integrity, to earn their trust and keep them satisfied. It's a mission fulfilled through years of repeat business, and a commitment we proudly renew each day. Altamont Landscape Services would be pleased to handle your commercial landscape maintenance needs, so please feel free to contact us for more information. Please contact me and I will personally meet with you and show you how we have put in place the best water management practices plus I will show you how we can solve your water issues. I personally look forward to working with you. 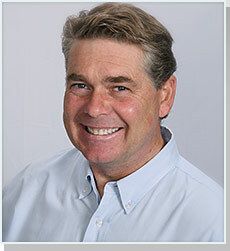 Thank you for your consideration Frank Carlson, President. © Altamont Landscape Services Inc.